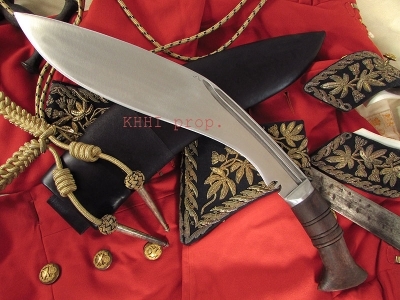 A masterly crafted blade for special objective, for night military operations in the deserts of Middle East, Iraq and Afghanistan..
Black Afghan is a skillfully and creatively crafted khukri for special objective. 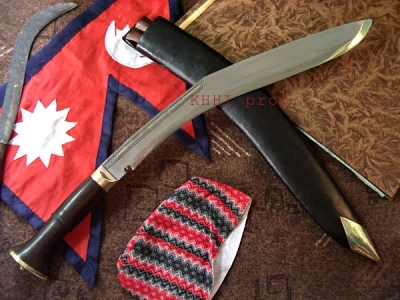 It has a combinative fixture of a superb functional blade in raw finishing with a sturdy finger-grip horn panawal handle to deliver nothing but the highest level of result, satisfaction and confidence. 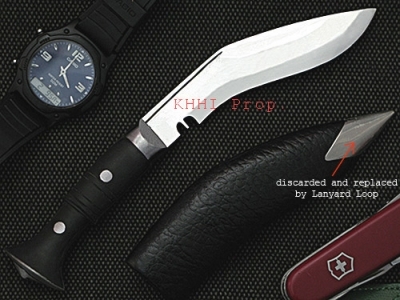 It is actually the newer version of the famous “Afghan Khukri (OEF Mission)” that was released by KHHI in late 2008 with some modifications. Most operation are done in the cover of darkness so that the enemy cannot see you. The night time gives you the opportunity to perfectly blend and strike without even the enemy knowing your presence. In such critical situation it is important to have your gears match with the natural conditions. It is therefore necessary for the soldier (carrier) to have all black wears and gears. The same theme/concept is generated with the "Night Operation Khukri". Its black feature perfectly blends in the night so that you are not spotted and helps you neutralize the target. 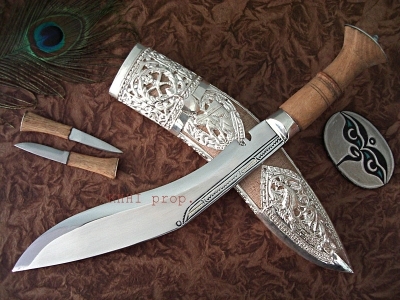 You can draw out your khukri, strike the enemy and simply move on. The khukri is especially targeted for night military operations of the coalition force in the deserts of Middle East, Iraq and Afghanistan. Hence the unique name. 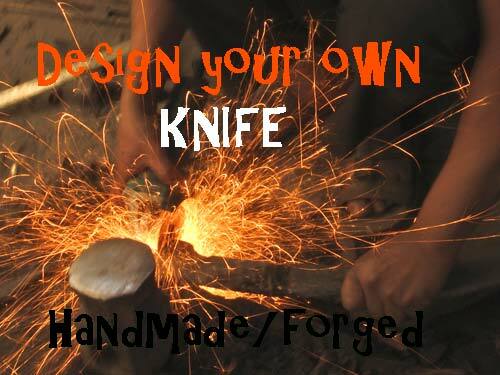 Blade: High carbon steel is forged into a 10" Raw blade with an unpolished bevel/edge. The raw blade prevents reflection during night use and also keeps maintains the original hardness from the quench, and hence very durable. The blade has good weight and feel. 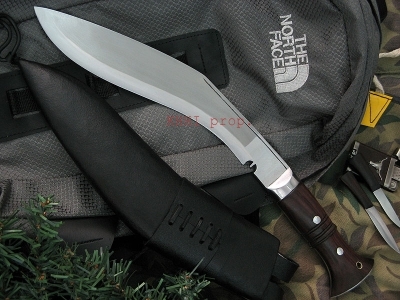 The design of this blade is similar to "Afghan Kukri" model however the traditional notch is replaced by a pointed nozzle to give a modern look. The handle is made from Water Buffalo Horn with finger contours, with the top being slightly elongated for protection and grip. 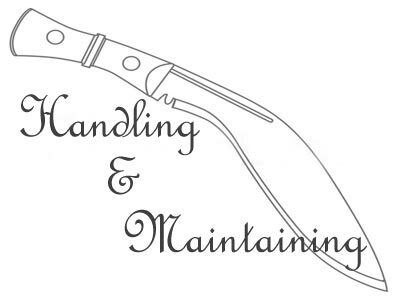 The finger grips give a firm hold making cutting very easy and effective. The Horn handle is over a full flat tang with rivets adding to strength. Where the handle scales end there is a hole in extended tang in case you wish to have a lanyard. 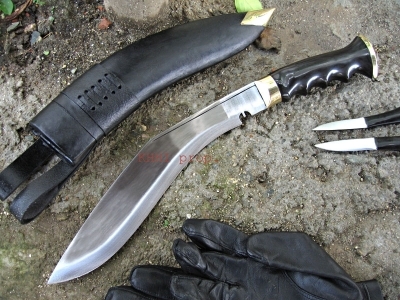 Scabbard: It has a normal black leather sheath to go with the overall look of the khukri. 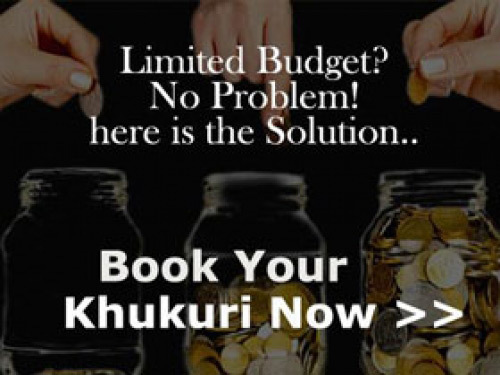 Unlike other khukris it has a frog with long belt loop for the belt to go thru. 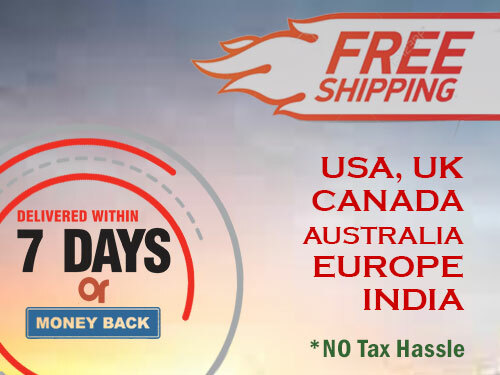 The belt loop features a fasten-up strap button which holds the handle firmly to it making the carriage very easy even in fast motion. A lanyard loop tip is also fitted in the sheath for thigh fastening. Backup Knife: It has a mini 2.5" utility knife to carry out small tasks and to cut things that may not be possible from the mother blade. 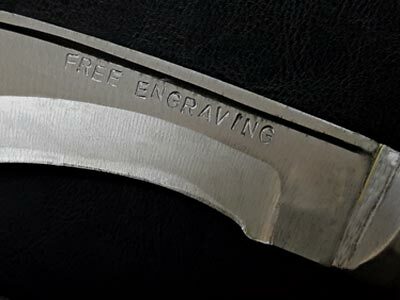 The flat spine of the back-up knife can also be used as an emergency sharpener.